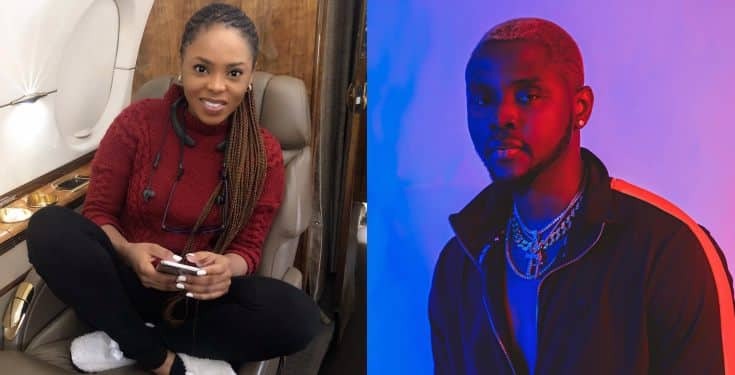 Nigerian singer, Chidinma through her lawyers ‘Shonaiya & Co’ have written a letter to City FM in Lagos demanding a public apology and retraction of ‘defamatory’ statements by its on-air personalities who said the viral Kizz Daniel ‘Fvck You’ song was about Chidinma and that the singer sleeps around. 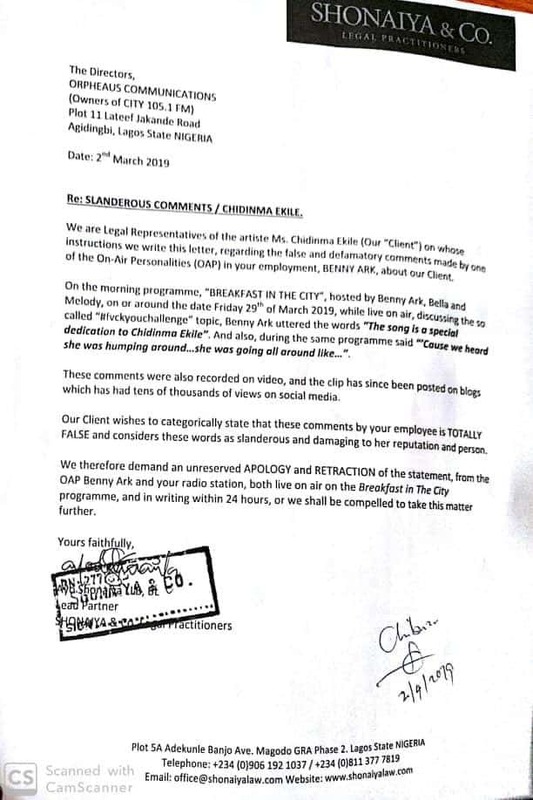 Chidinma’a legal representative Ayo Shonaiya said, ‘this is just a Notice to the station and the OAP to retract his comments and apologise to Chidinma because those statements are false and defamatory’. He added that, ‘It is their next move or how they respond that will decide our next move’. Kizz Daniel and Chidinma started dating about a year ago but they have never been spotted together nor have they come out clean about their affair. However, their social media posts have shown that the rumors of their relationship are true. Kizz Daniel once shared an instastory that shows Chidinma chilling in what looked like his bedroom. It was also reported that the both of them got matching tattoos.